This page will be updated with new events to pay homage to the victims of the "13 de Marzo" tugboat that was attacked and sunk by agents of the Cuban State on July 13, 1994 causing the deaths of 37 men, women, and children. Twenty years later and those responsible have not been held accountable or the victims compensated in any way. Twenty years without justice. Twenty years of impunity. In the Florida Straits and in Miami the Democracy Movement is organizing a flotilla on Saturday, July 12, 2014 called the "Lights of Liberty Flotilla in Commemoration of the 20th Anniversary of the Massacre of the "13 de Marzo" tugboat sinking that will leave Key West from the Key West City Bight Marina and go in front of Cuba on Saturday, July 12, 2014 to hold a ceremony in memory of the victims of the massacre and others murdered by Castroism and to launch powerful lights of freedom, which will be seen from Havana and other points of Cuba. Inside Cuba, members of the opposition and the Democracy Movement led in the island by Jose Diaz Silva and the people in general will draw near to the Malecon and other points on the coast with candles and flowerr to throw them into the sea and to see the "Lights of Freedom" launched by the flotilla. For more information visit their facebook page or call 305-264-7200. The Free Cuba Foundation has made a global call for people of good will to hold a twenty minute moment of silence asking: "Please share and encourage friends wherever they are on July 13, 2014 at 3pm to join in a 20 minute moment of silence. Gather in a group or individually and take a photo at the end of the vigil holding up the above image calling for justice or whatever you have at hand. " On Sunday at 3:00pm members of the Free Cuba Foundation will be gathering at the main fountain at Florida International University (rain or shine) for a twenty minute silent vigil. On Sunday July 13, 2014- the twentieth anniversary of this crime against humanity. 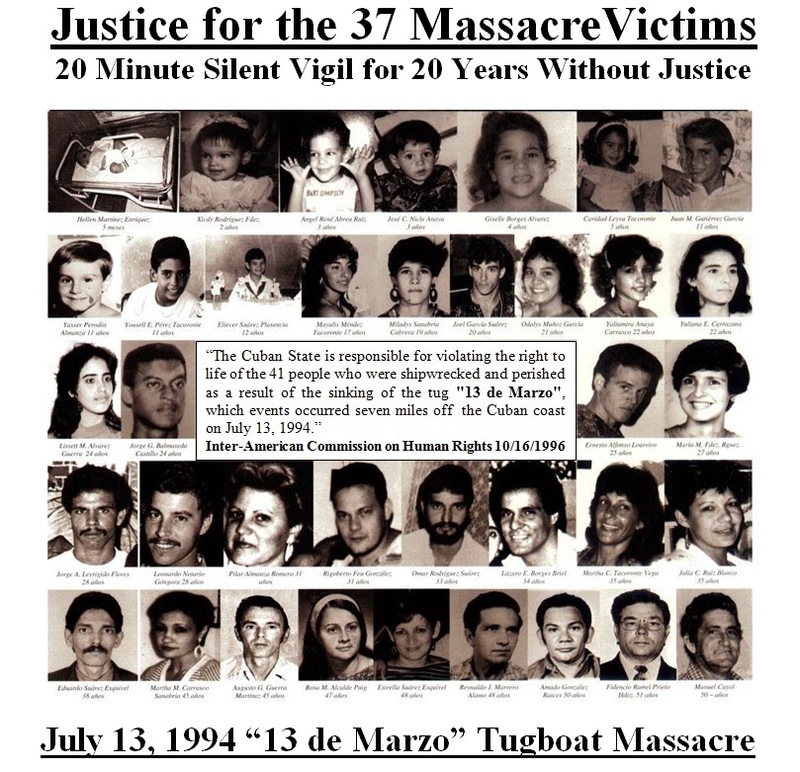 - MAR for Cuba will hold a rosary for the victims of the"13 de Marzo" tugboat massacre, on the grounds of the Cuban Memorial Monument, that is located on Coral Way & SW 112 Avenue, at 10 AM, after which a wreath of flowers will be deposited in their memory. For more information contact Sylvia G. Iriondo at 305-934-7302 or visit their website. Estado de Sats and For Another Cuba have called for an international campaign. 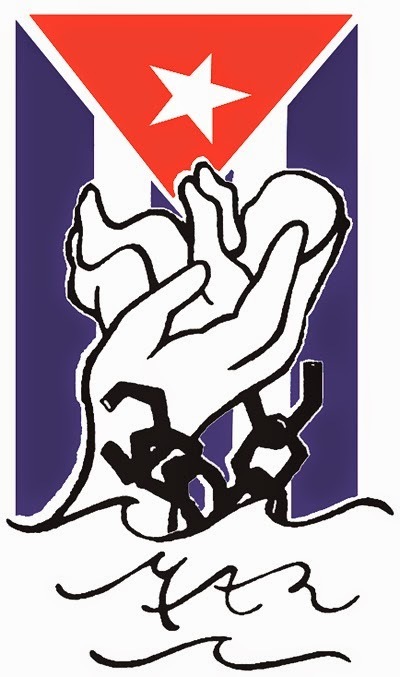 The collective action “A light for mine” will be a tribute to the victims of the tugboat “13 de Marzo” and all Cubans who have lost their lives at sea, trying to escape a suffocating reality during 54 years. It is also a tribute to the Cuban family and a call to hope and spiritual rebuilding of our nation. 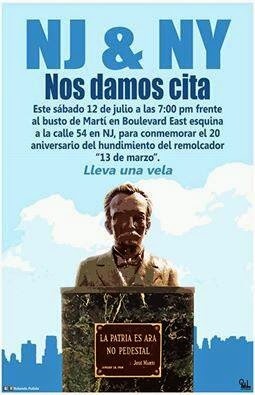 This July 12 on the eve of the anniversary, at dusk Cubans, anywhere in the world, will light a candle in front of the ocean , a bridge, a lake, a river, on your door, balcony or in the privacy of your home (in this case for the repression that doubles in Cuba on this date) For Cuba's disconnect with the world, Cubans living abroad can help promote this symbolic action inviting relatives and friends on the island to participate and share in turn photos and pictures of the same in the social networks. Let's light a candle this July 12 to remember the friend, the family member who didn’t make it, the son who never appeared. 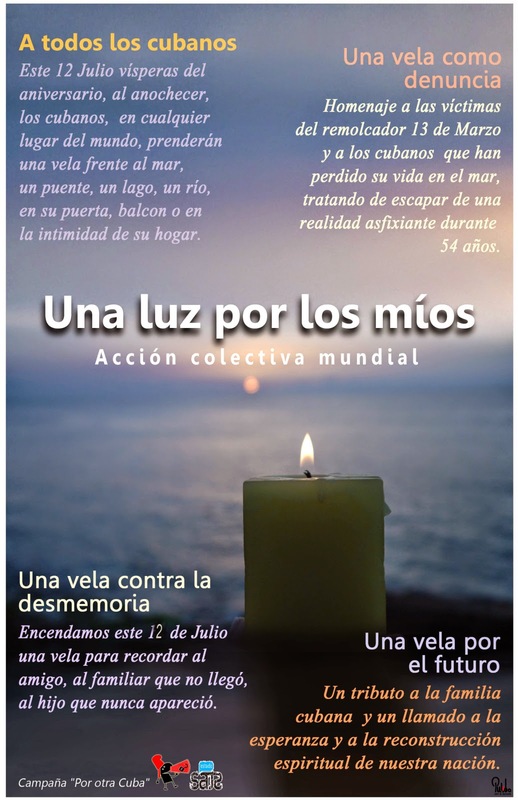 La acción colectiva ‘’Una luz por los míos ’’ será un homenaje a las víctimas del remolcador 13 de Marzo y a todos los cubanos que han perdido su vida en el mar, tratando de escapar de una realidad asfixiante durante 54 años. Es también tributo a la familia cubana y un llamado a la esperanza y a la reconstrucción espiritual de nuestra nación. Por la desconexión de Cuba con el mundo, los cubanos que viven fuera pueden ayudar a promover esta acción simbólica invitando a familiares y amigos dentro de la isla a participar y compartir a su vez fotos e imágenes de la misma en las redes sociales. Encendamos este 12 de Julio una vela para recordar al amigo, al familiar que no llegó, al hijo que nunca apareció. Una vela contra la desmemoria. Una vela por el futuro. We will join together in prayer for the victims and their families and for Liberty and Justice to soon reach Cuba. 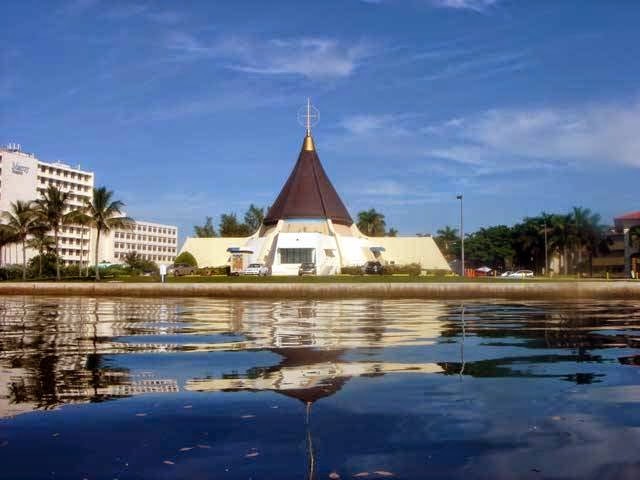 After the Mass united with our brothers in the Island and in different parts of the world we will have a candlelight vigil in their memory in the Sea wall of Our Lady of Charity. For more information on the Mass and vigil visit their facebook page or official website. 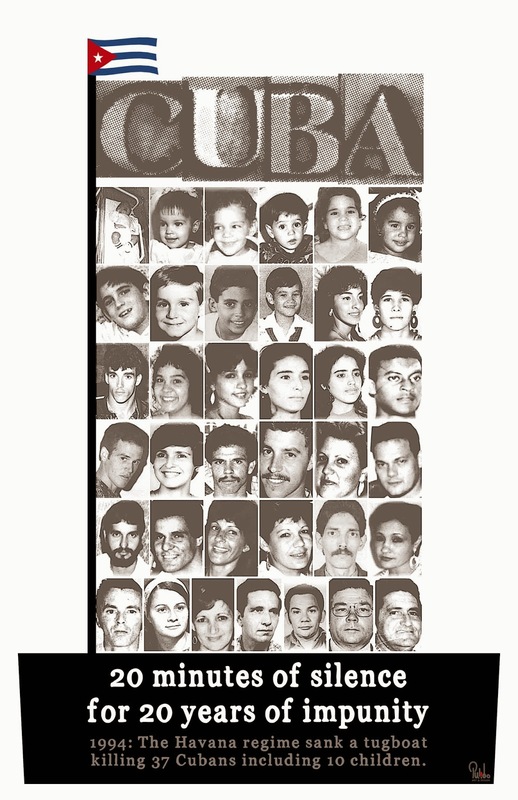 The Cuban Democratic Directorate (CDD) and the Human Rights Foundation (HRF), have called for a symbolic nonviolent protest action in honor of the twentieth anniversary of the murder of 37 Cuban passengers of the "13 de Marzo" Tugboat, who on July 13, 1994 were killed by agents of the Cuban government for trying to escape the island. The demonstration will take place on July 10 at 12:00 noon outside the headquarters of the Permanent Mission of the Republic of Cuba to the United Nations (UN), located at No. 315 Lexington Avenue in New York City. 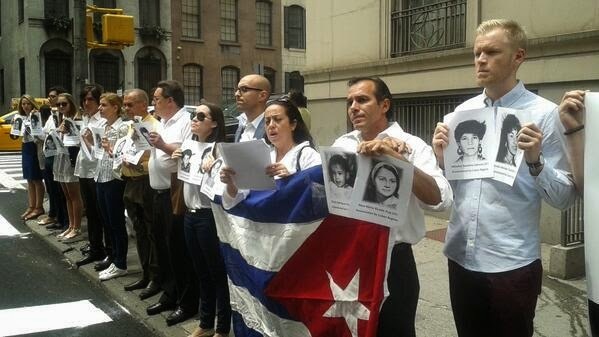 Human rights activists, members of international civil society and Cuban exiles will gather in front of the embassy in order to hold twenty minutes of silence for each of the twenty years that this crime has remained unpunished. 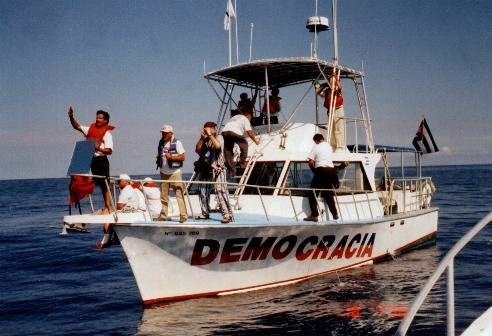 Human rights and civil society organizations have called for a symbolic nonviolent protest action in honor of the twentieth anniversary of the murder of 37 Cuban passengers of the “13 de Marzo” Tugboat, who on July 13, 1994 were killed by agents of the Cuban government for trying to escape the island. The demonstration will take place on July 10 at 12:00 noon outside of the Cuban Interests Section located on 2630 16th Street NW in Washington DC. 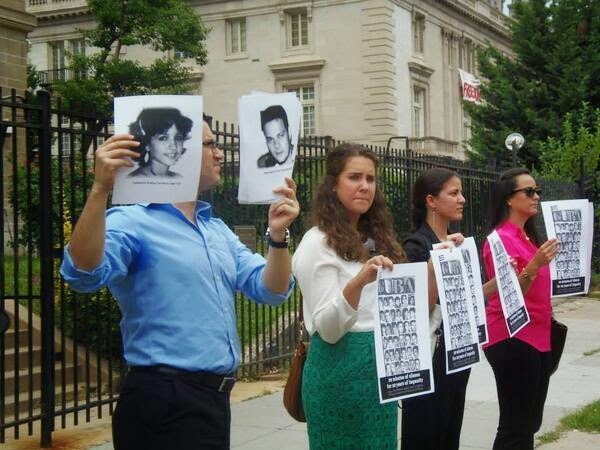 Human rights activists, members of international civil society and Cuban exiles will gather in front of the embassy in order to hold twenty minutes of silence for each of the twenty years that this crime has remained unpunished.